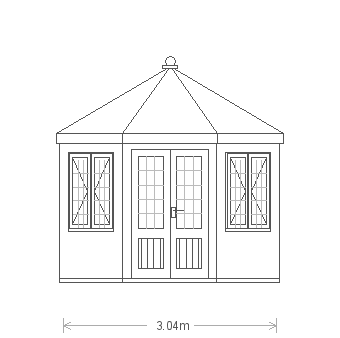 This charming Wiveton summerhouse is from our range of FSC® certified Scandinavian Redwood timber Summerhouses and boasts a distinctive octagonal shape. 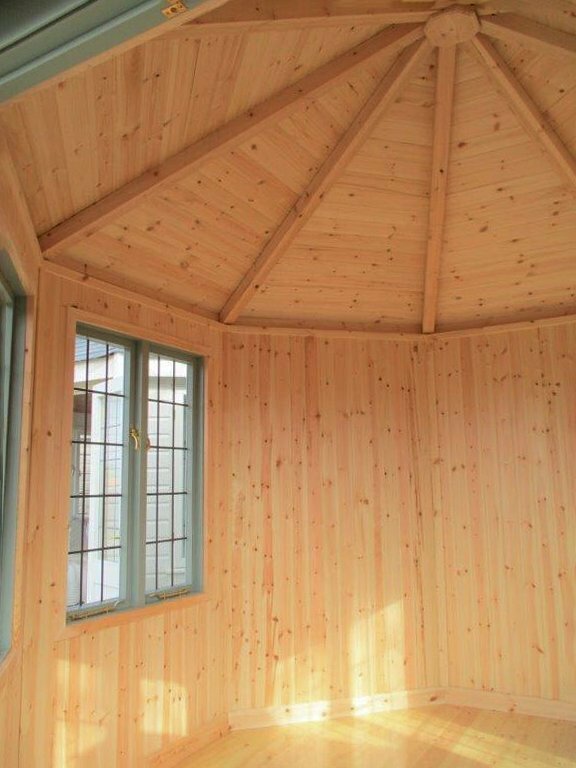 It boasts a cedar shingle roof topped with an attractive finial and eight opening leaded windows. 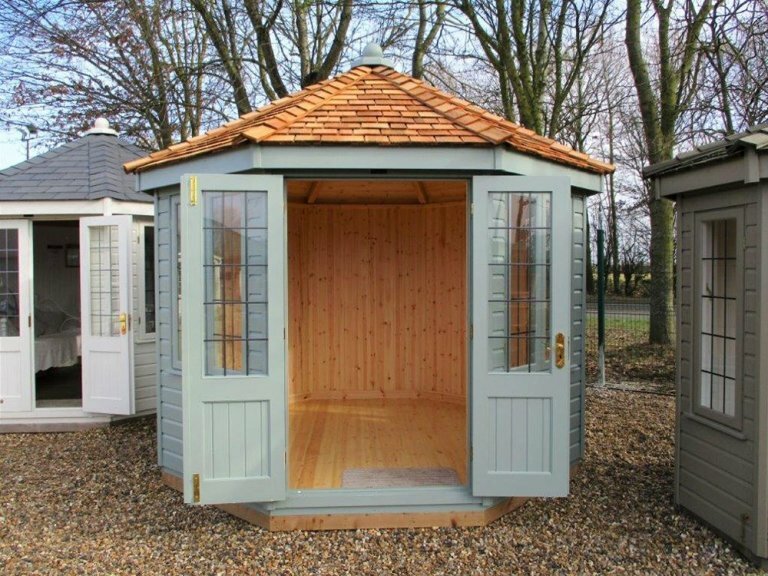 Internally the Summerhouse has natural pine lining for a warm and cosy feel, with a smooth shiplap exterior painted in Sage. 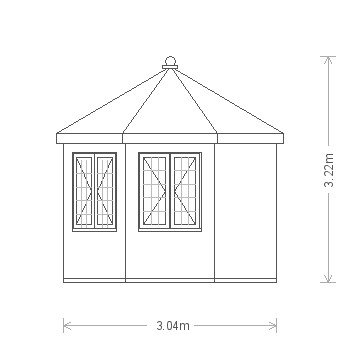 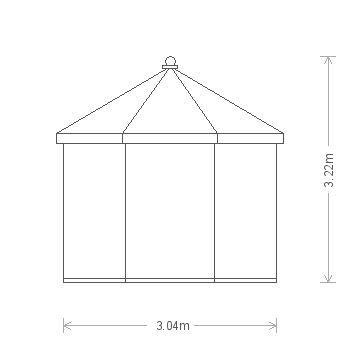 In order to take a look at our range of buildings for yourself, we warmly invite you to our Brighton showcentre, where this Summerhouse is currently on display. 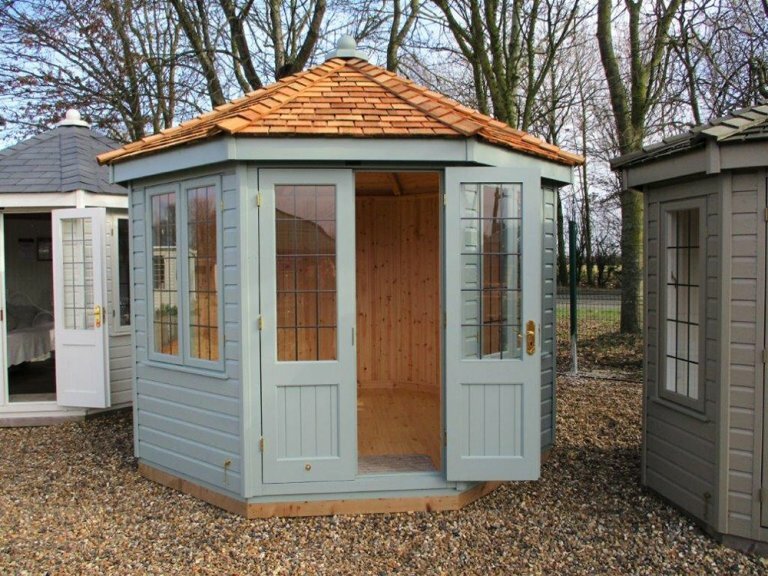 One of our charming Wiveton Summerhouses was recently built to order at our Norfolk factory using only FSC® certified Scandinavian Redwood timber and expert craftsmanship. 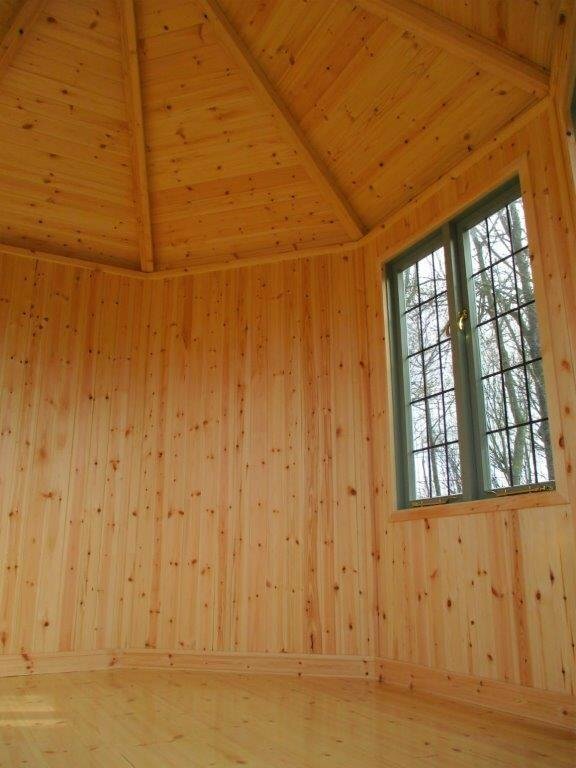 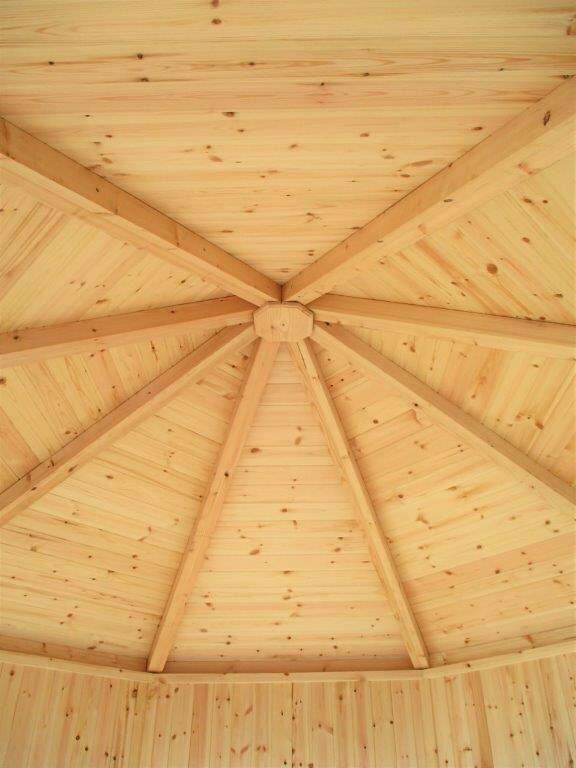 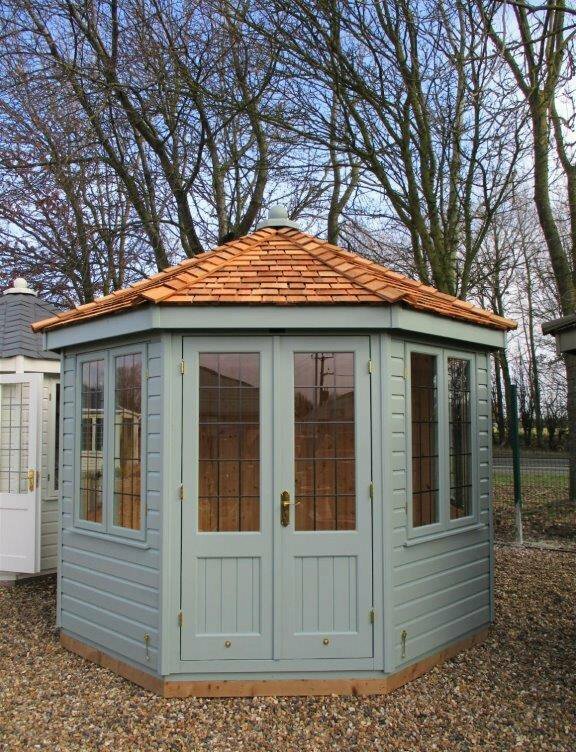 As with our entire range of timber garden buildings, the summerhouse was delivered and assembled at the customer's delivery address by our in-house installations team. 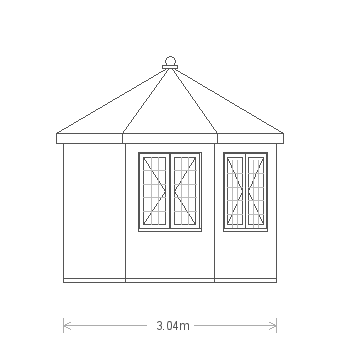 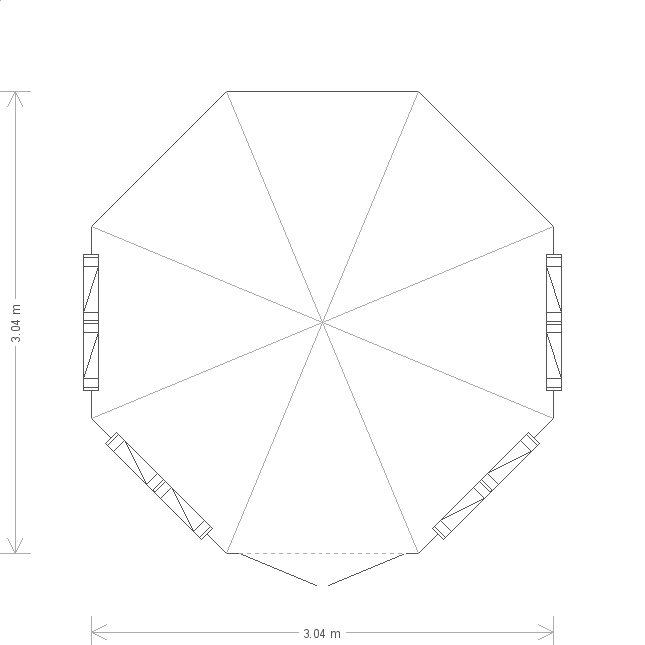 Measuring 6 x 8'6"ft, it is one of our smaller sizes of the Wiveton, creating the perfect space for two to enjoy as a retreat for the bottom of the garden.